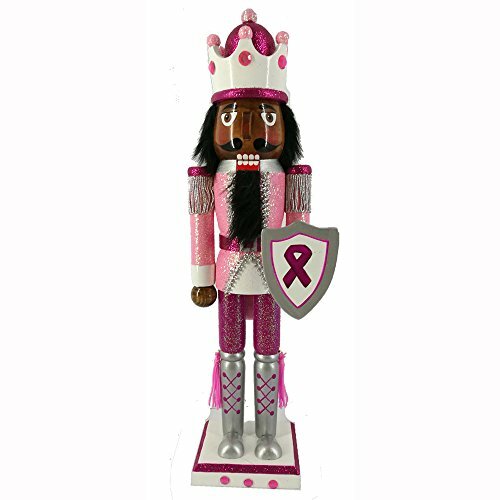 Christmas Holiday Wooden Ethnic Nutcracker Figure Soldier King with Pink Breast Cancer Support Uniform with Sparkle, Glitter, and Rhinestone Details, Large, 15 Inch by Nutcracker Ballet Gifts at Two Clock. MPN: N1515-AA. Hurry! Limited time offer. Offer valid only while supplies last.